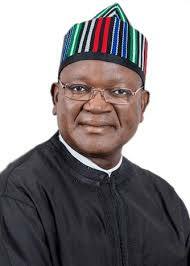 Chief Press Secretary to the Benue State Governor, Mr Terver Akase has reaffirmed the leadership style of his principal not to shield anyone suspected to have committed a crime. Mr Akase was reacting to the arrest of former head of the Benue State Livestock Guards, Aliyu Teshaku by the Nigerian Army. He spoke during the network news of Radio Nigeria today. Mr Akase explained that it was the constitional mandate of security agencies to arrest anyone suspected to have violated the law. The Chief Press Secretary said the law would take its course in the investigation of Teshaku, stressing the decision of Governor Samuel Ortom to uphold justice while intensifying the fight against crime in the state. He said the Governor deserved commendation for his credentials on transparency and honesty in handling issues even when those close to him are involved. Mr Akase emphasized the Governor’s commitment to ending the killing of innocent Benue people and called on security agencies to intensify surveillance of parts of the state.